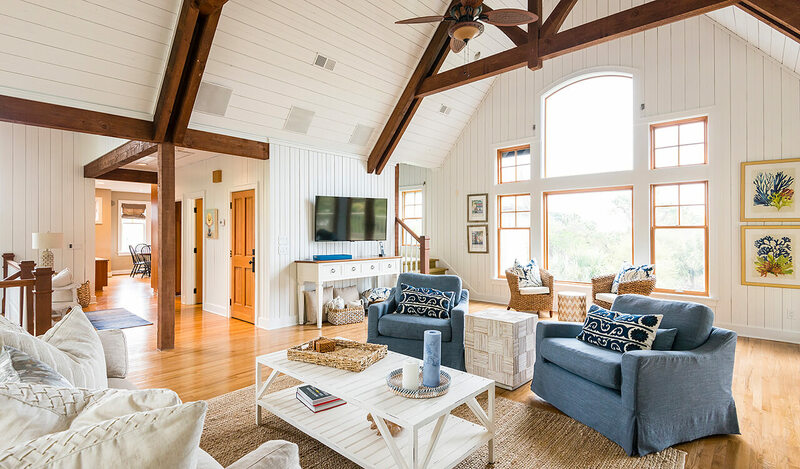 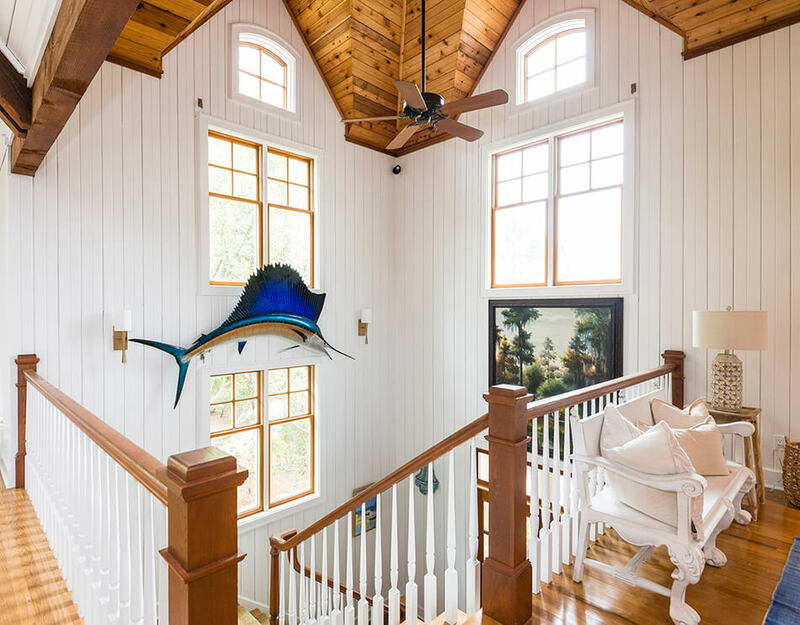 Overlooking the expansive Atlantic coastline of Kiawah Island and bordering waves of golden marsh, 213 Ocean Marsh Road pays homage to the best of the South Carolina Lowcountry. 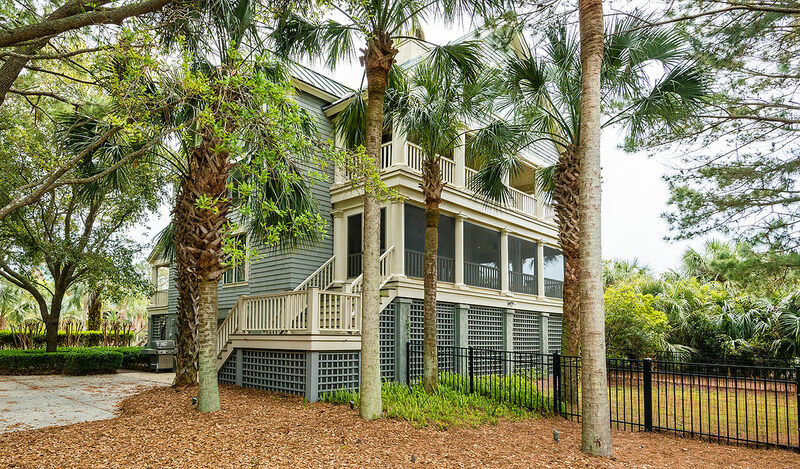 Incredibly close to the Beach Club and The Ocean Course, this home offers an ideal central location to all Kiawah Island living has to offer. 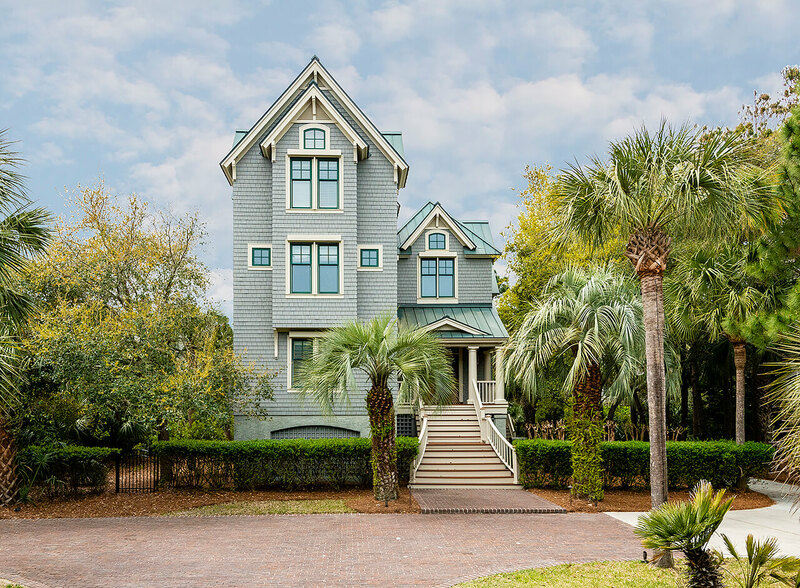 Pulling into the driveway of 213 Ocean Marsh Road, a long, meticulously landscaped driveway leads to a breathtaking and striking Island home. 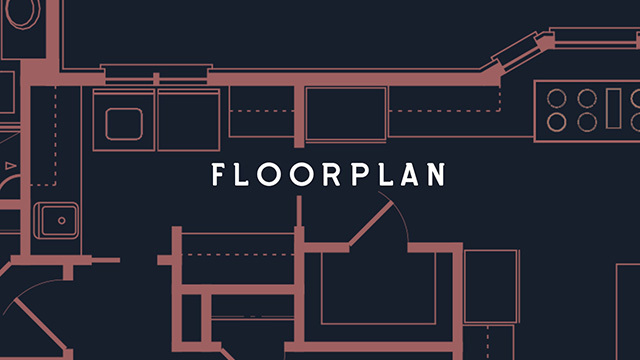 This home features an inverted floor plan. 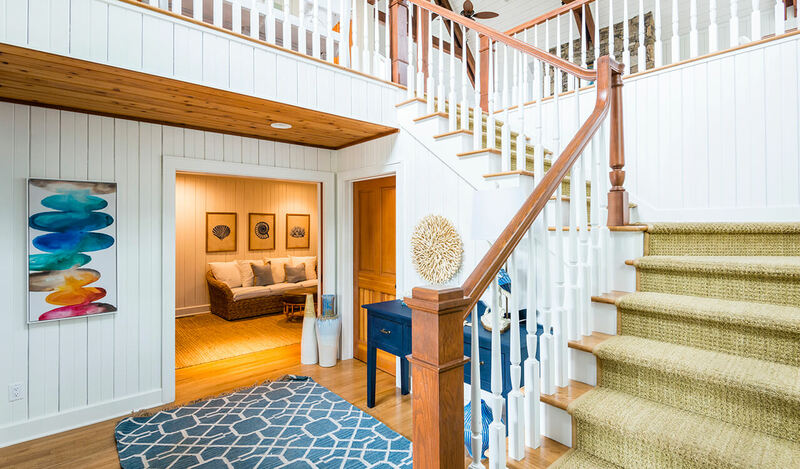 The foyer on the main level warmly welcomes friends and family alike. 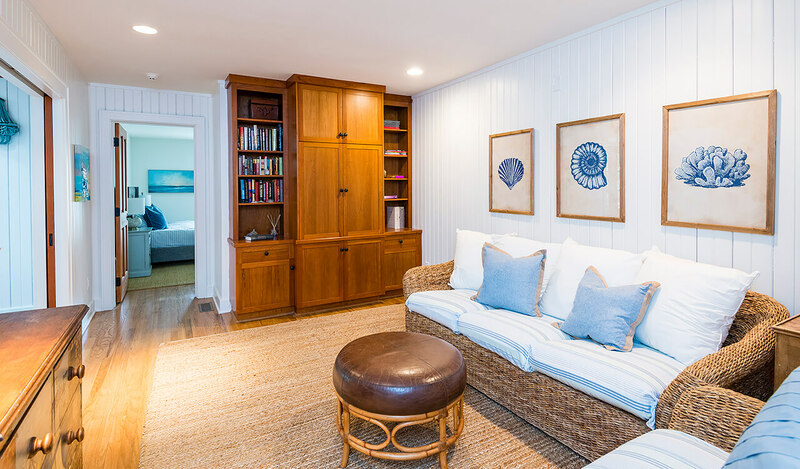 A den is the central gathering space on the first floor, surrounded by the guest suites. 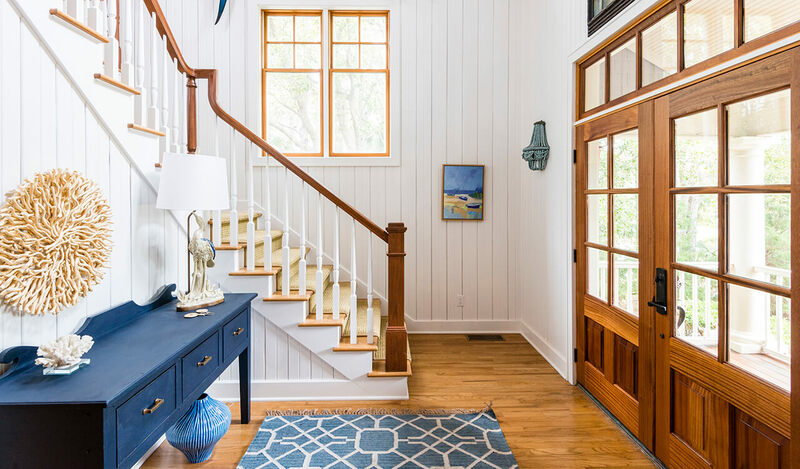 At the top of the stairs on the second level, the foyer opens into the recently renovated great room which features vaulted ceilings, massive wood paneling, and a wall of French doors leading to the rear deck. 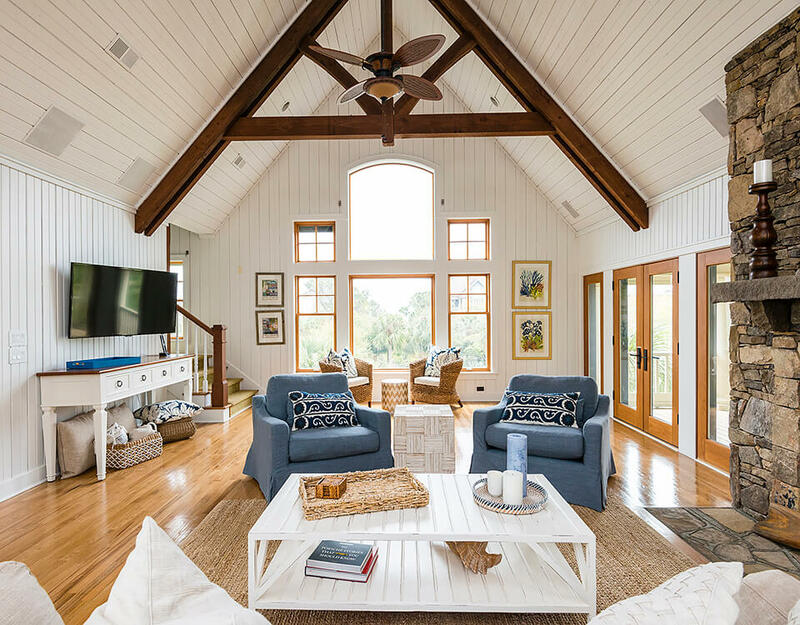 Shining hardwood floors, a striking fireplace, and updated lighting fixtures further complement the drama of the space. 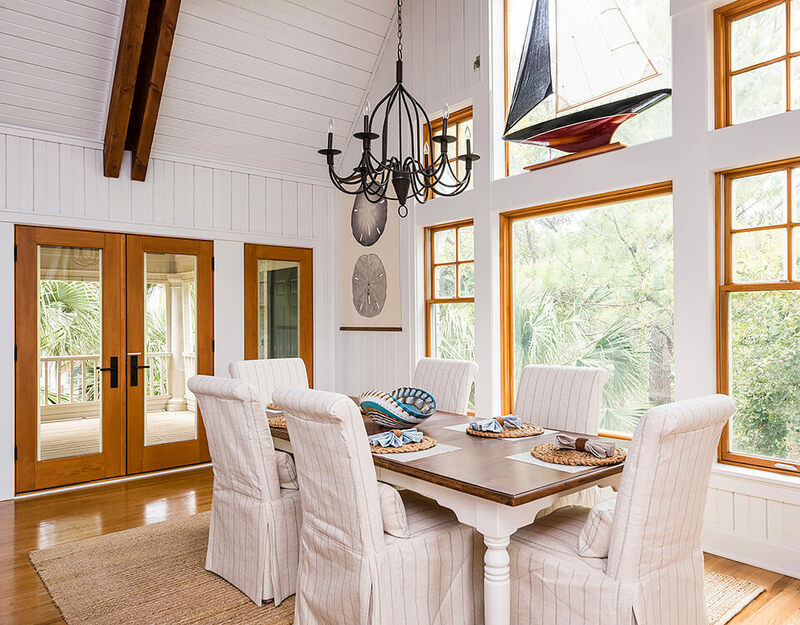 Adjacent to the great room is a formal dining room, perfect for entertaining or enjoying a family meal. 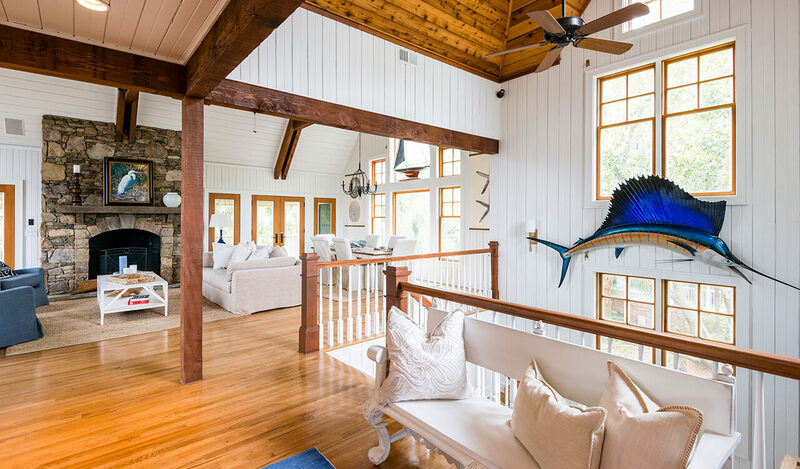 A large picture window provides peeks of the ocean. 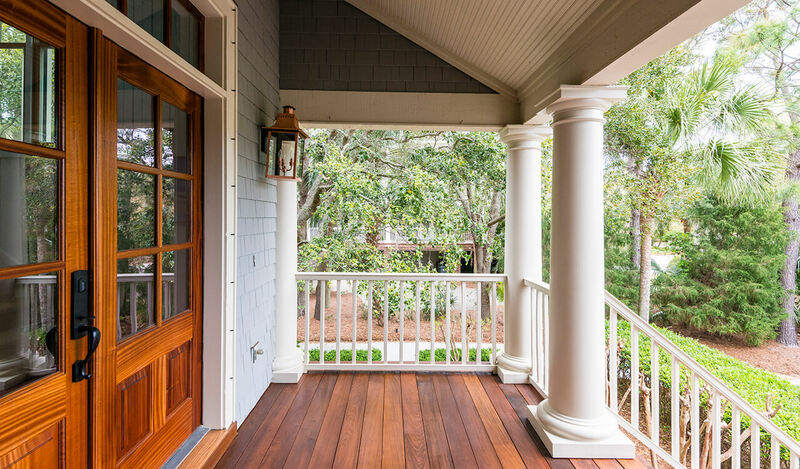 The porch is ideal for entertaining. 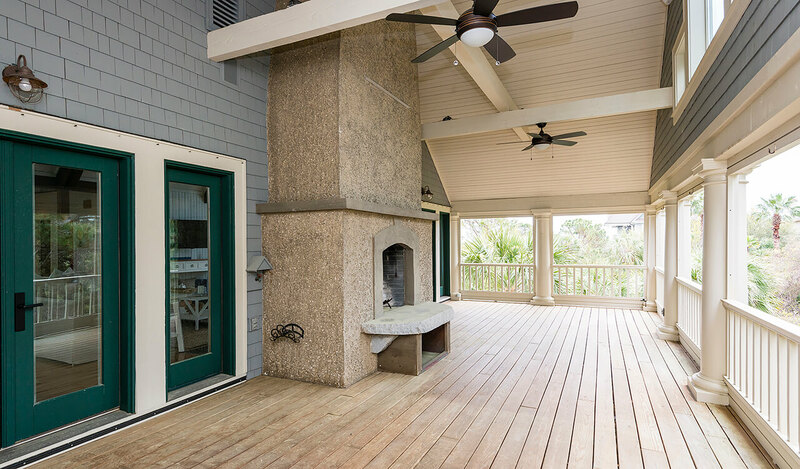 Complete with a fireplace and plenty of room for outdoor dining, this enviable outdoor space offers a comfortable, casual gathering area. 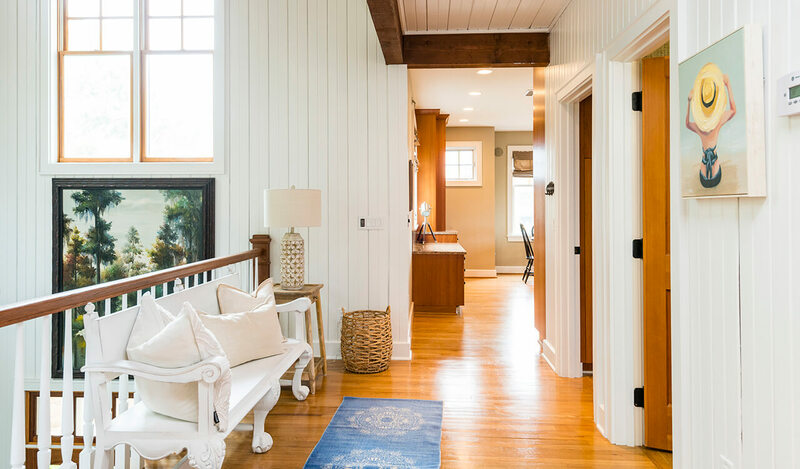 The large, open kitchen is just a step away from both the dining and living areas and is fully equipped with delightful artistic details. 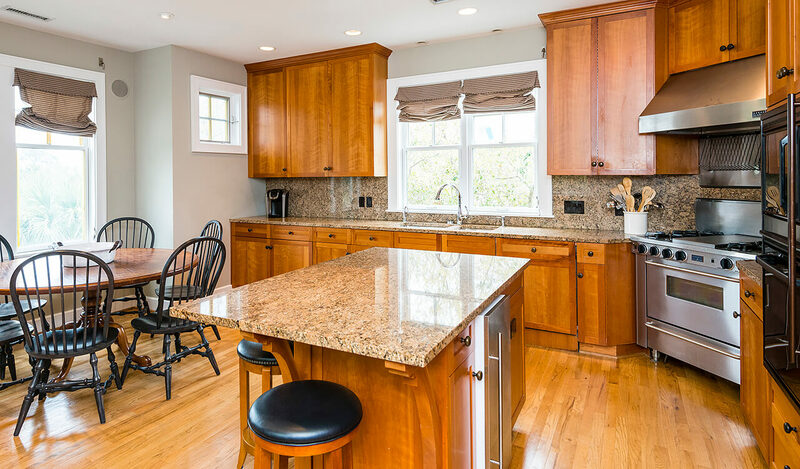 Highlights include a state of the art cooker, large center island with granite countertops, and custom cabinets. 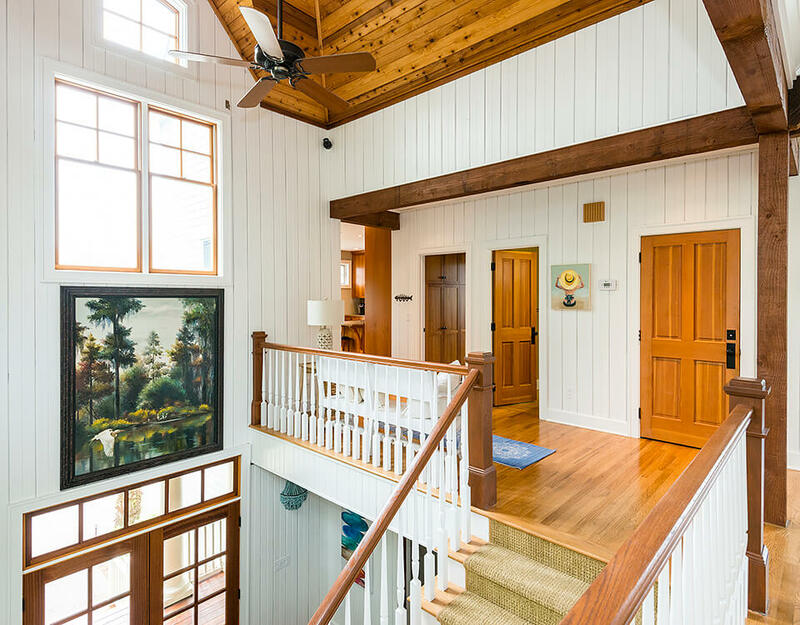 Natural light streams into the kitchen through sizeable windows and grand doors leading to the rear screen porch. 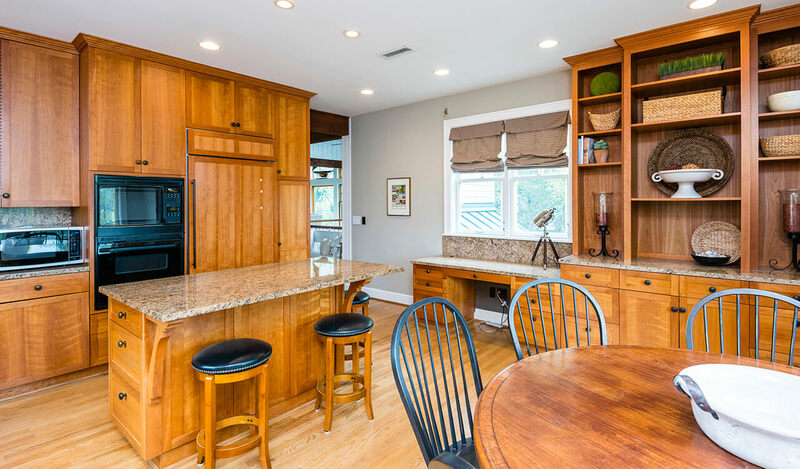 Additionally, a breakfast space allows for a casual dining option. 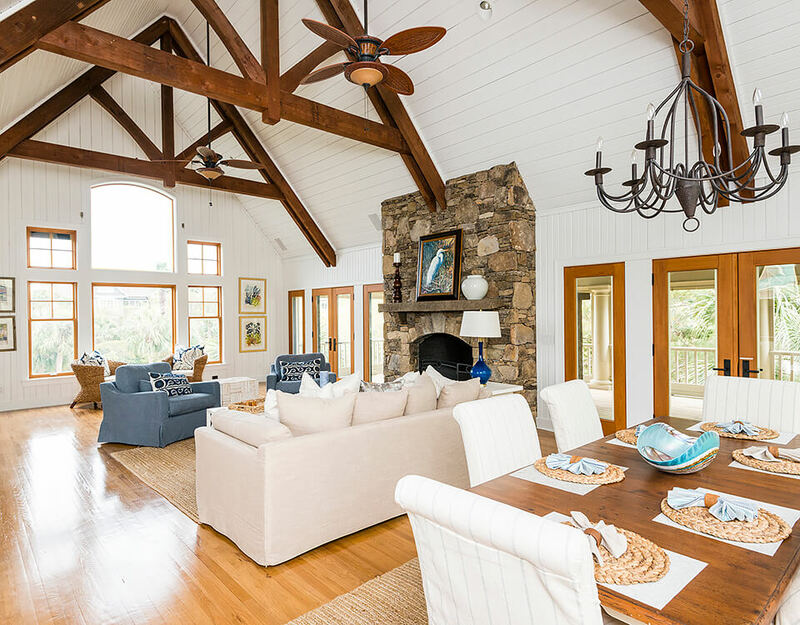 Views of the marsh and Ocean Course can be seen from the kitchen. 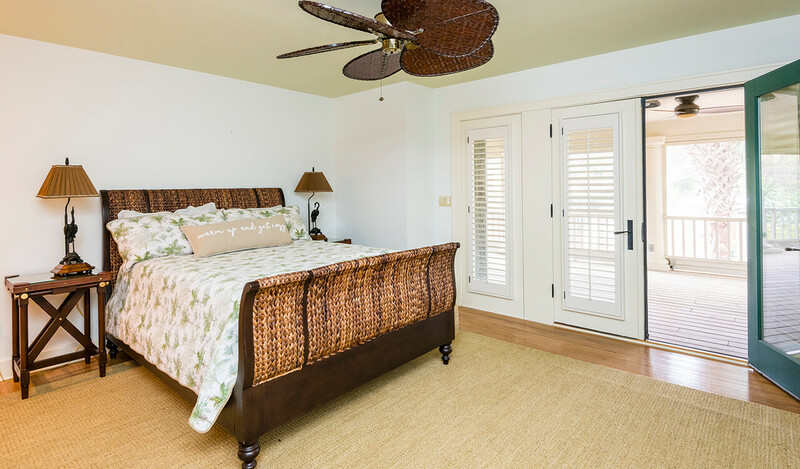 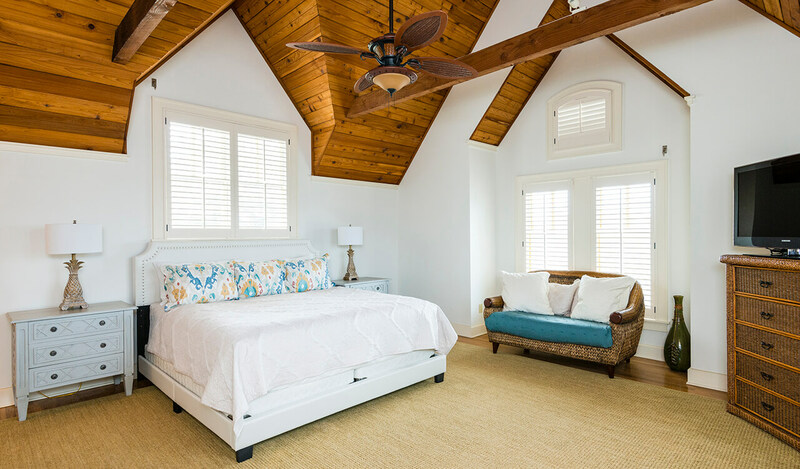 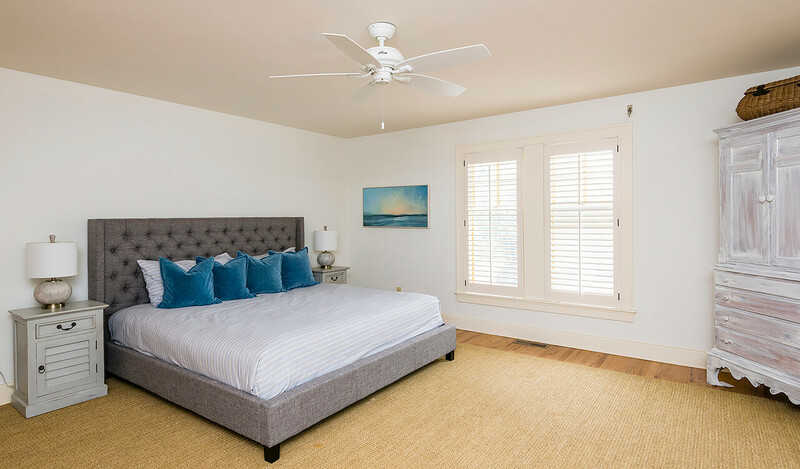 The bedrooms of this residence, including a beautiful master suite and three additional bedrooms and bathrooms, allow everyone their own space for personal relaxation. 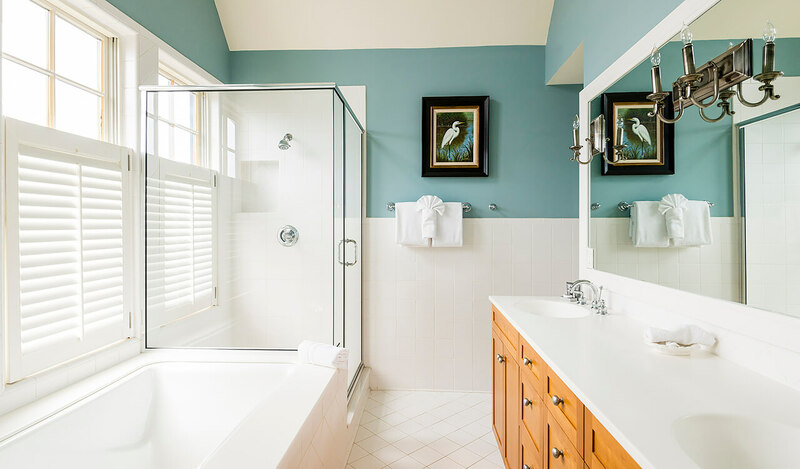 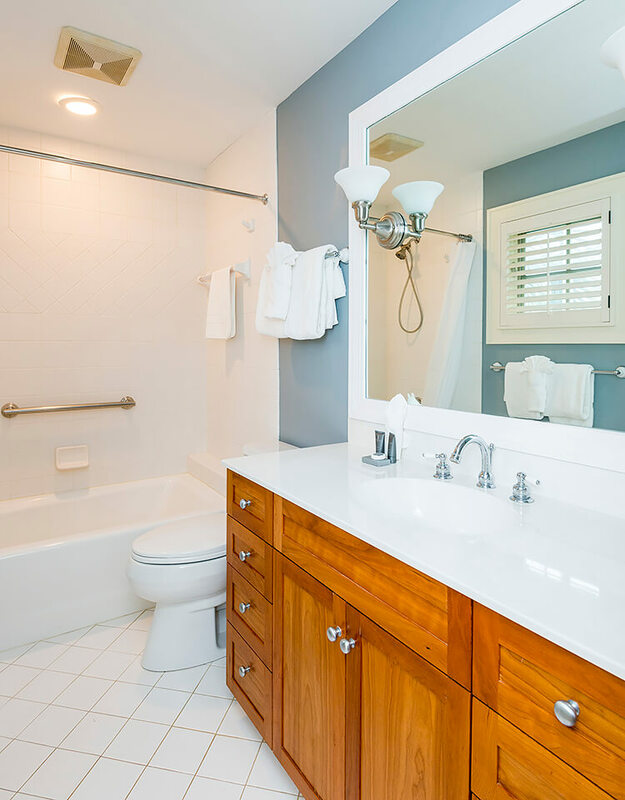 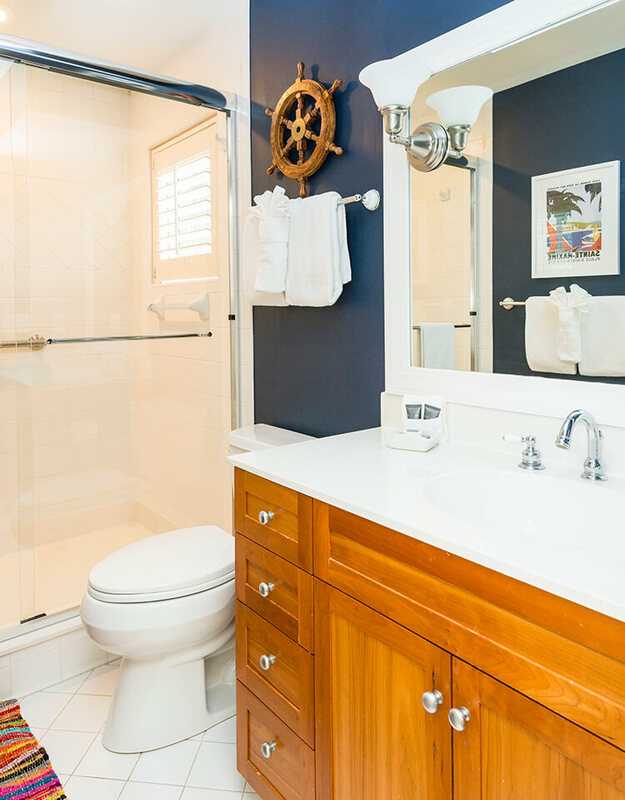 The sizeable master suite includes a master bath featuring marble-tiled floors and shower, as well as a spacious tub. 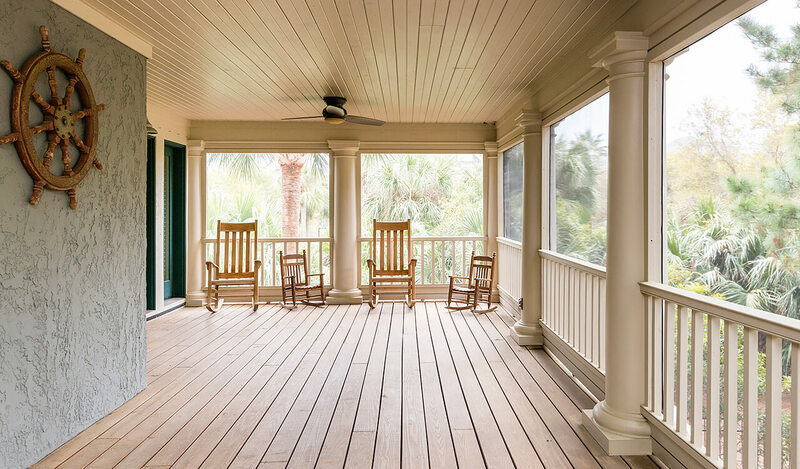 Residents will look forward to spending lazy afternoons on the large rear screened porch. 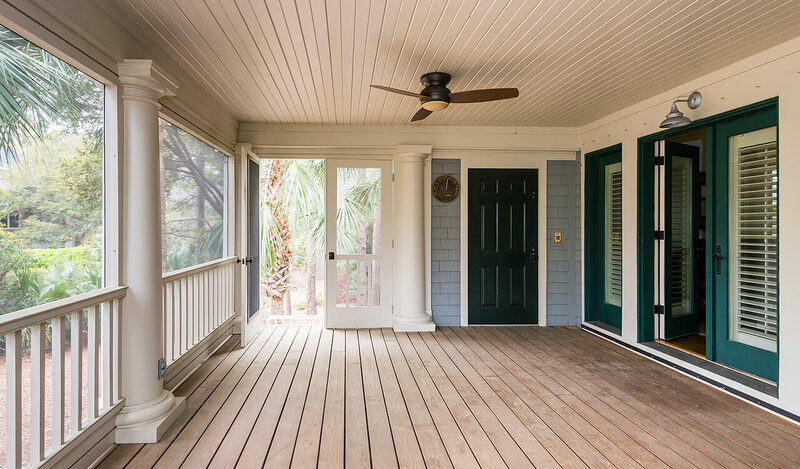 Graced with surrounding grand oaks, the outdoor deck offers an ideal setting for relaxation with plenty of space for lounging. 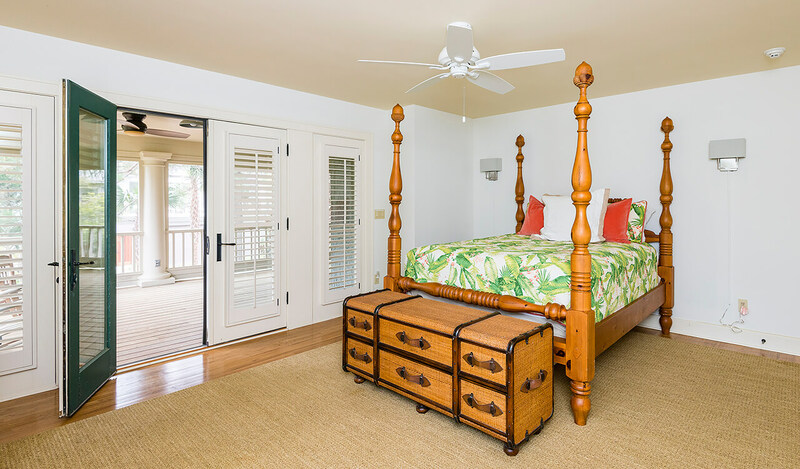 The bedrooms open onto the screened porch, blending the indoors with the outdoors, while welcoming the sounds of nature and cool sea breezes. 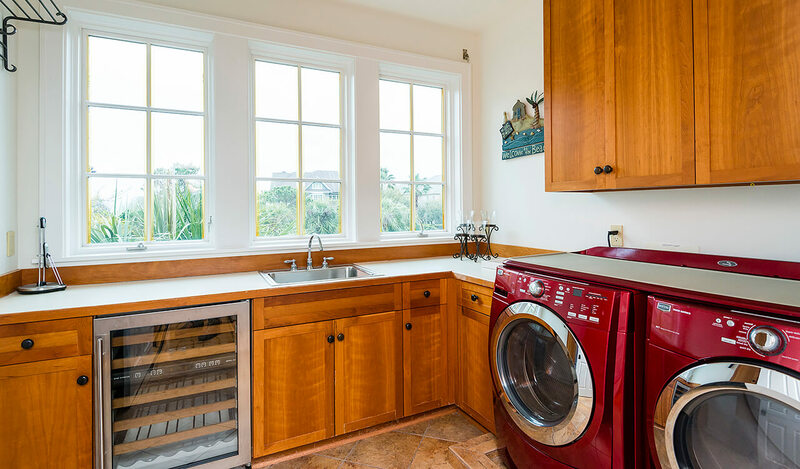 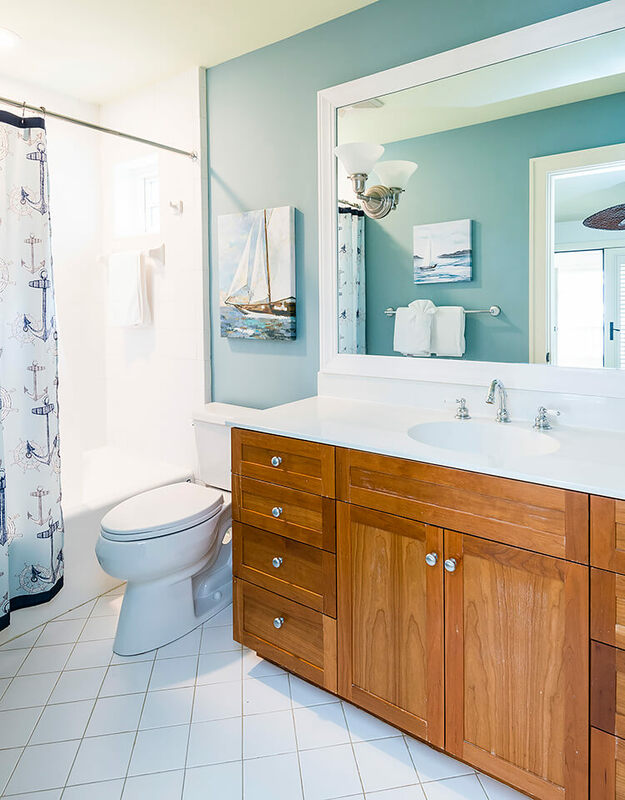 Additional features include abundant storage and closet space throughout the home. 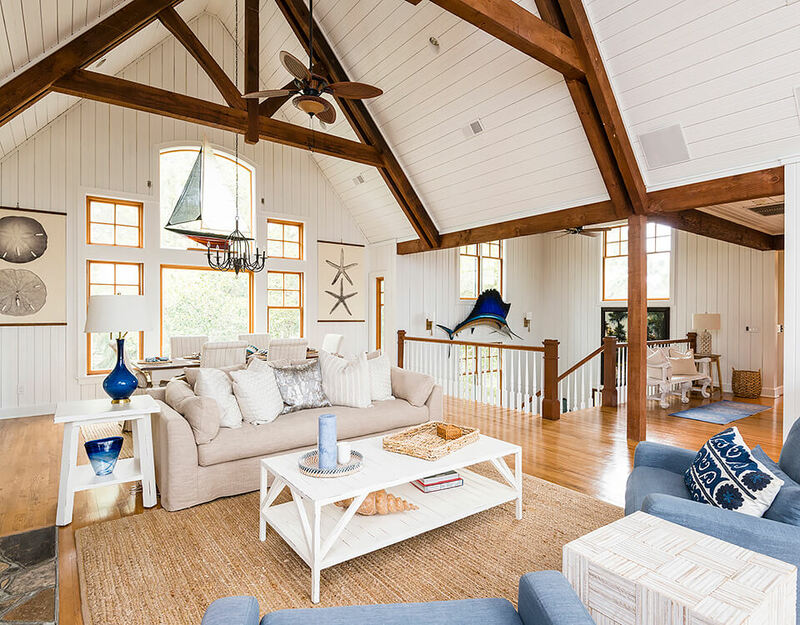 A Kiawah Island Club Membership is available.